Toyota is the favorite to win the 24 Hours of Le Mans this weekend, with Fernando Alonso attempting to tick the second box in his quest for the Triple Crown of Motorsports from behind the wheel of the #8 Toyota TS050 Hybrid LMP1 car. But while earning its first-ever Le Mans victory with the famous two-time Formula One champion would bring it the most media coverage, the Japanese manufacturer insists it will not give either of its two cars an advantage in the race. “Our cars will race for victory with the target of achieving a Toyota one-two. Both cars start the race with an equal and fair chance of winning,” a Toyota spokesperson said. Le Mans is the most high-profile race in the World Endurance Championship and arguably the most famous race in the world alongside the Monaco Grand Prix and the Indy 500. Alonso already demonstrated the strength of his media appeal when he attempted to win the Indy 500 in 2017, which brought the race unprecedented attention. Pit Stop: When should you get new tires? 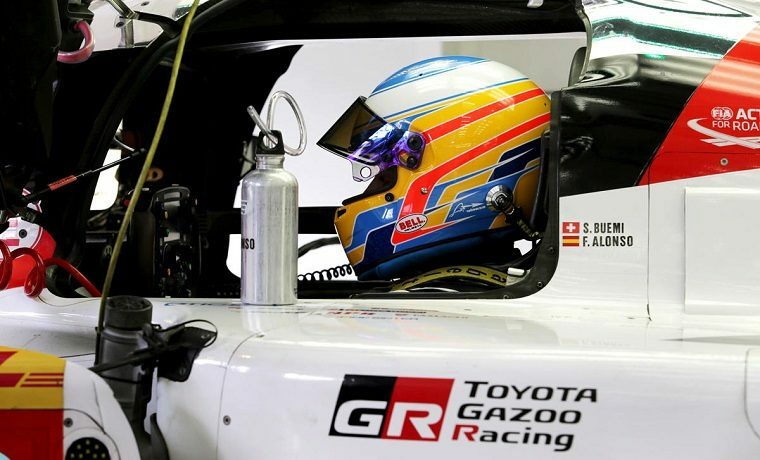 Many believe that coverage is one of the reasons Toyota elected to not just give Alonso a seat in its hybrid LMP1 car—despite Alonso’s utter lack of endurance racing experience—but to also give him a full-time racing position throughout the entire 2018-2019 WEC super season at the cost of Anthony Davidson, who had won five races with Toyota in 2017. It would thus not be surprising if Toyota were to give its #8 car the edge over the #7 TS50 Hybrid in a bid to help Alonso win the race. Note that the spokesperson said their chances would be fair at the “start,” which could imply that would change throughout the 24 hours. Nonetheless, there is no doubt that simply winning Le Mans for the very first time is more important to Toyota than ensuring the driver trio that includes Alonso is the one that steps on top of the podium. Nobody should expect Toyota to compromise its own race for the sake of any driver. After all, after a streak of unlucky finishes, and now that the manufacturer has less competition than ever, this is probably Toyota’s best chance to put its name in the record books…and if it fails again, we wonder if they’ll bother to keep trying.